Anyone investing hours of precious time piecing together their favourite jigsaw puzzle will probably have experienced that pang of anxiety at the thought of someone disturbing the pieces the minute their backs are turned. We have created the perfect solution with our Puzzle Board which guarantees to protect your jigsaw puzzle and provide a safe and stable work surface for as long it takes to complete your masterpiece. The large light-weight Puzzle Board, which is suitable for puzzles up to 1000 pieces, is extremely strong but incredibly light and easy to carry and store. 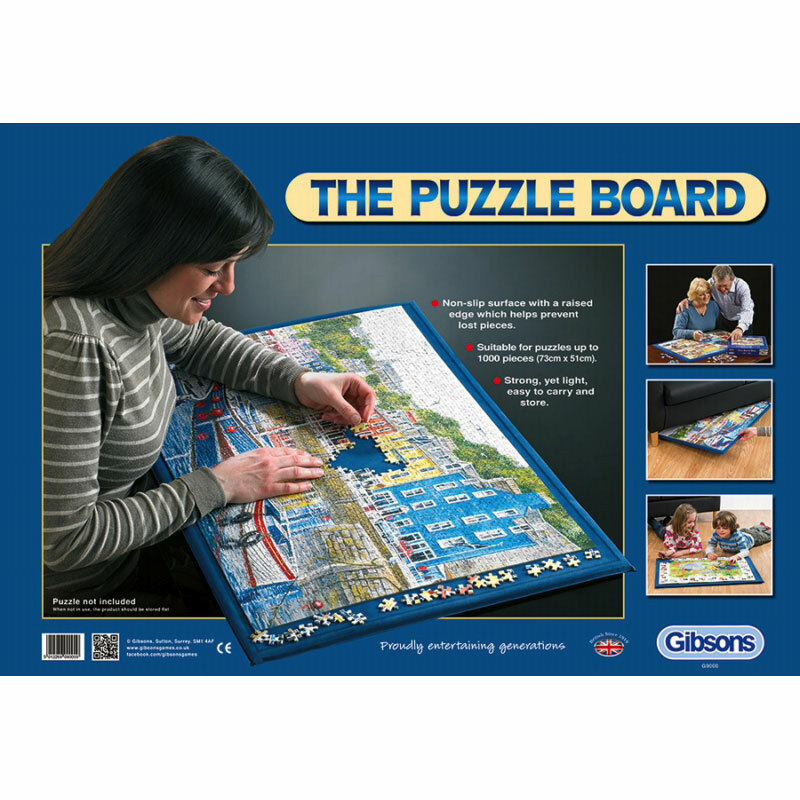 The non-slip surface has a raised edge to prevent lost pieces, so when you finish your puzzling session you can simply store the whole board safely away, underneath a chair or on top of a cupboard ready to bring out on the next occasion. 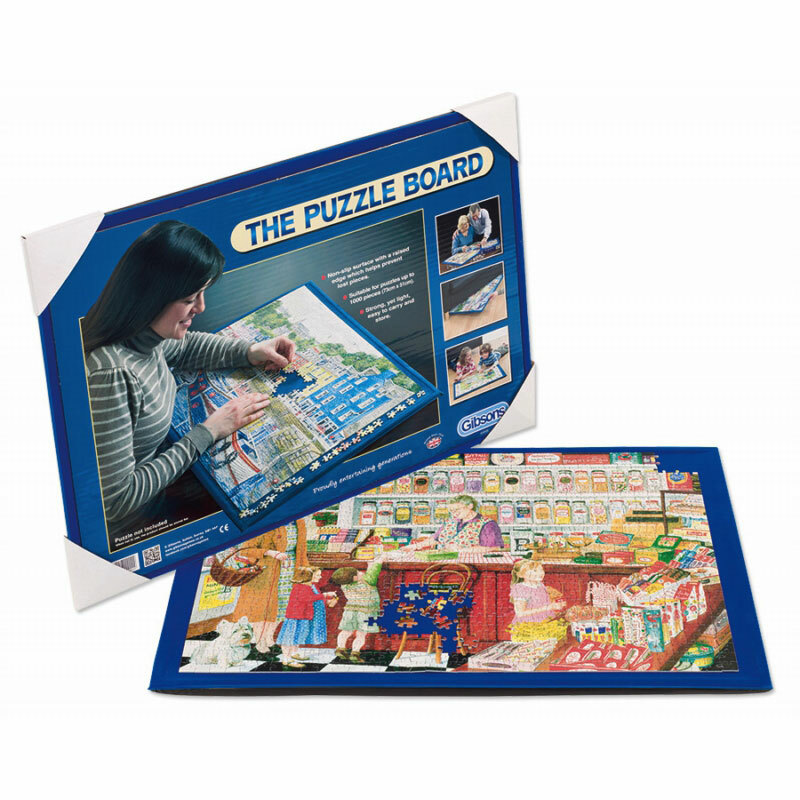 The Puzzle Board is an essential accessory for jigsaw puzzle fans and along with a favourite themed jigsaw puzzle, the ideal gift for everyone both young and old. We are sorry to inform you that due to a problem with the production factory our Puzzle Board will be out of stock until April 2019. We are sorry for the inconvenience, alternatively you can buy our Puzzle Roll here. Strong, yet light puzzle board. Suitable for jigsaw puzzles up to 1000 pieces. Non-slip surface with a raised edge which helps prevent lost pieces.